There’s no denying that the internet has changed the marketing world in a very powerful way, particularly over the last ten years. Email marketing, search engine optimization, and social media, along with many other digital forums have revolutionized the way we do business. So while it’s easy for many of us to jump to the conclusion that print may be losing its relevance, this is simply not the case. In fact, print marketing can still be the best vehicle for delivering a message to its intended audience; the trick is knowing what those instances are. The one thing print media will always have over digital media is its tangibility. Print media can be both flexible and portable, and doesn’t require a technological device to access. There’s something about the texture of the paper, the turning of a page that the internet, at least for now, has yet to replicate. 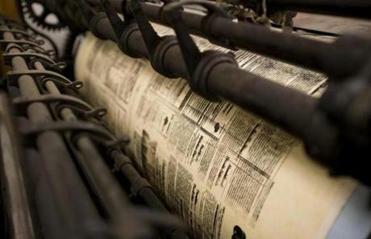 Print has a sense of permanence while the internet is continually upgrading and changing. It is this sense of permanence that gives print a greater sense of credibility. Many surveys have shown that print is still largely considered more trustworthy and may for this reason be the most appropriate opening line of communication for some campaigns. Print marketing is also thought to be one of the best ways to establish or solidify branding. Color prints using a logo, and marketing colors can help potential customers distinguish you from your competitors. One form of print marketing still reigning over the digital world is the printed business card. While virtual business cards exist, they’re still not commonly used or easily accessible. In this fast paced world, there’s not enough time to jot down or type in every contact you meet. Business cards are also less likely to be forgotten if stored on a contact list or smart phone app. While email campaigns can reach a larger pool of potential customers for less money, printed media campaigns have higher conversion rates. The problem with email is that account users can delete the advertisement without ever seeing the message inside. Spam folders can also keep account users from ever receiving the email at all. Direct mailers and brochures’ messages are out in the open and can create reader interest with high gloss, printed visuals. Print marketing is still especially relevant for small businesses. Promotional materials like flyers, pamphlets, and brochures help to keep your business’ name, products and services fresh in your potential client’s mind long after meeting at a trade show, convention, or other event. These same items are also great tools for networking with other business professionals. Engaging print can also be used to drive traffic to the internet for continued interaction. Many companies use QR (Quick Response) codes as a way to bridge the gap between printed and digital media. When a smart phone user scans a QR code on a poster or other type of printed advertisement, they are linked to a website where further engagement can take place. QR codes can provide unique discounts and other special types of interaction, rewarding customers that use them. David Cormier is a blogger for American Color Copies, a leader in color printing.